It's 1906 in San Francisco, and Mercy Wong is determined to become a successful business woman. Her mother is a fortune teller and her father works long hours doing laundry, and Mercy is convinced that this is not the life any of them want for her younger brother, Jack. U.S. laws and attitudes frequently work against Mercy's family and many of Chinatown's residents; she is frequently accorded "less than" status, compared to other cultural groups. Mercy is prepared to bribe, lie, and work like nobody's every worked before to educate herself out of poverty. St. Clare's is a snooty private school that is sure to open doors if Mercy can graduate, but how can someone like Mercy possibly fit in? This is a story about prejudice, perseverance, and accepting yourself. Oh, and the San Francisco earthquake of 1906. Mercy's struggles are so compelling because her determination is so inspiring. The unjust practices of the time period are presented matter-of-factly, and Mercy's ingenuity never disappoints - whether she is cutting chocolate deals with local business owners or faking her way through a Chinese tea ceremony. Her hard work isn't merely selfish, either - she admits her faults, takes some lumps, and looks out for others. 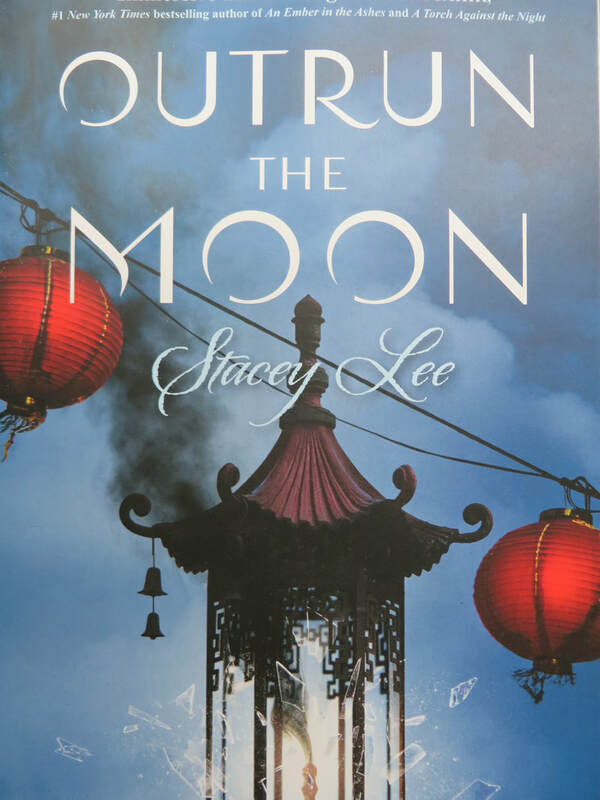 There is a line of romance running through the book in the form of Tom - an herbalist's son from Chinatown who creates flying contraptions, including a hot air balloon. Mercy's story belongs to her all the way through, without an emphasis on this relationship. I like to see this in books for this age group - Mercy is a strong character who takes steps to control her own destiny, and she might like a boy, but she's making her own choices to live her life and look after the people who count on her. The setting is reasonably unique for the target audience, which works in the book's favor. There are so many details that will come alive for readers - including customs and technology of the time period - in addition to the critical themes of resilience and overcoming the blatant prejudice of the period. The only false note for me was that the language seemed a bit too contemporary at times and trying a little too hard (through the Texan character's sayings, for example) at others. I recommend this without reservation for readers who like go-getter characters who don't accept "no" for an answer.